Cute jumper! Love it with the skirt too! I absolutely loved this outfit. So cute and the tartan is just stunning. You look chic and comfortable which is best! !!! Really awesome outfit, I love the true red color of that sweater. I bet it'd look cool with matching lipstick. You style is so simple yet inspiring! Always love the way you style and pair outfits! Love the look. 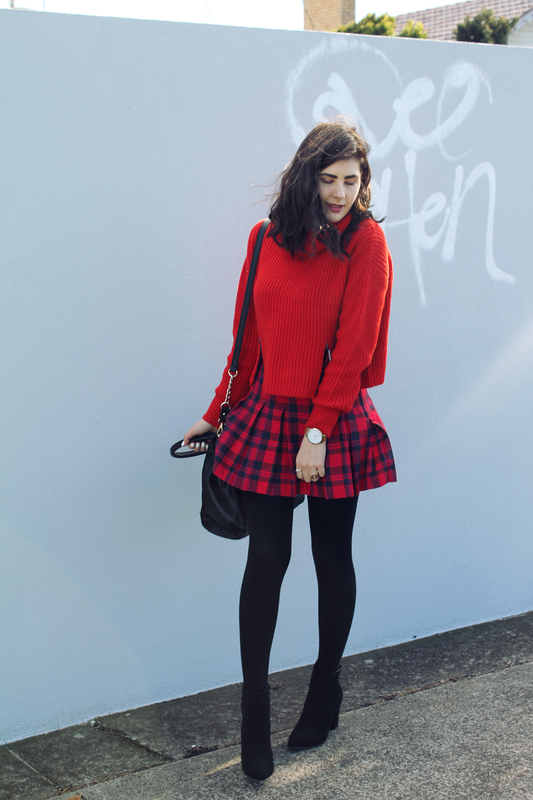 Specially the vermillion knit and skirt. Great pics and fantastic look!!! Totally diggin' a turtle neck at the moment. And red is always a good idea! I'm in love with it - wishing it came in more colours! Definitely comfortable, chic is a plus haha ;-) Thank you!!! 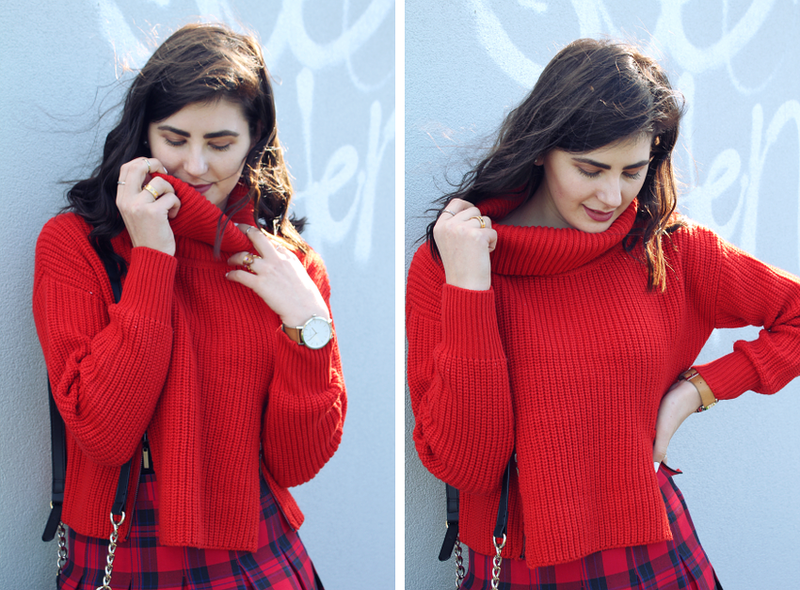 I can't believe I've gone this long without owning a knitted turtle neck - it's a must haha!